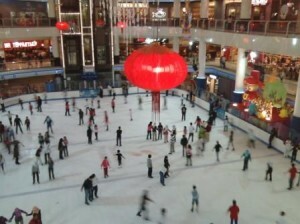 Sunway Pyramid is a shopping haven located in Bandar Sunway, Petaling Jaya, Selangor. There are many restaurants available in Sunway Pyramid. 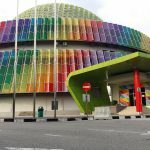 If you are visiting Malaysia and looking for variety but are budget conscious, one place I can recommend is the Jaya Jusco food court located at ground floor, if I am not mistaken. 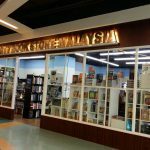 Jaya Jusco is located at a new wing – you need to go into the Jaya Jusco entrance on the floor located below Popular Book Store. As you go straight, you will see the food court- there are a lot of variety to choose from. 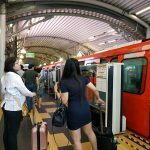 At least you can order a few different dishes and they will be priced more reasonably than if you dine at individual restaurants, pubs and bars located there. Around the skating ring, there are floors of eating places clustered around there- but of course it’s generally not for folks who are on a budget. You can sit down and eat and look down and watch people skating. There’s fast food there like McDs if you want. Else, you can also walk outside the complex and eat at the restaurants at the shoplots nearby. 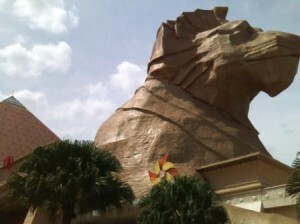 From the Sunway Pyramid main entrance, you will see the Tourist Police office in front of you. Turn right and walk straight- against the car traffic. At the end, you will see shoplots- where the corner is Public Bank. At the same roll as Public Bank facing the main road, there are some restaurants- some of them not air conditioned though.